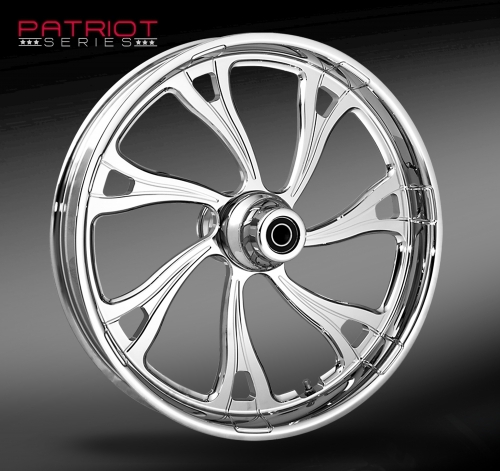 Show off your American spirit with one of 5 Patriot Series wheels from RC Components. The Patriot Series was released to commemorate the services of our military men and women. In their honor RC Components has made a commitment to contribute up to $25,000 to select Veterans Service Organizations. The Patriot Series wheel lineup features 5 clean and unique wheel designs; Sniper,Eagle, Gunner, Ranger and Trigger, which are sure to give your bike that custom look you have always dreamed of and at a price that fits your budget. 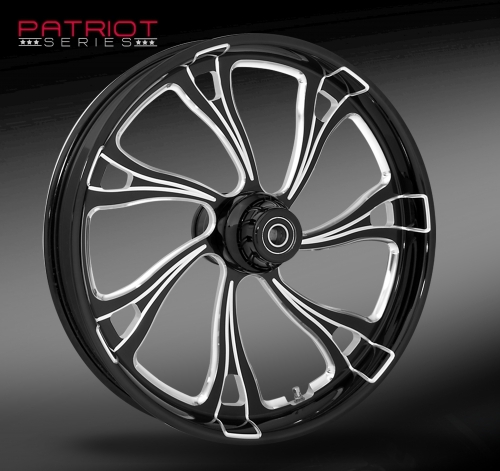 Each Patriot Series wheel is competitively priced and available in your choice of show quality chrome or an Eclipse black finish. Matching brake rotors, air cleaners and drive pulleys are also available to help transform your bike into the ultimate custom ride.